The Supreme Court Collegium, on Friday, recommended the appointment of two Advocates- Mr. Sanjay Kumar Medhi and Mr. Nani Tagia - as Judges of the Gauhati High Court. However, as per the resolution, Justice Gogoi did not participate in the deliberations for elevation of Advocate Nani Tagia, as he used to be the Advocate's senior when he was in the profession. 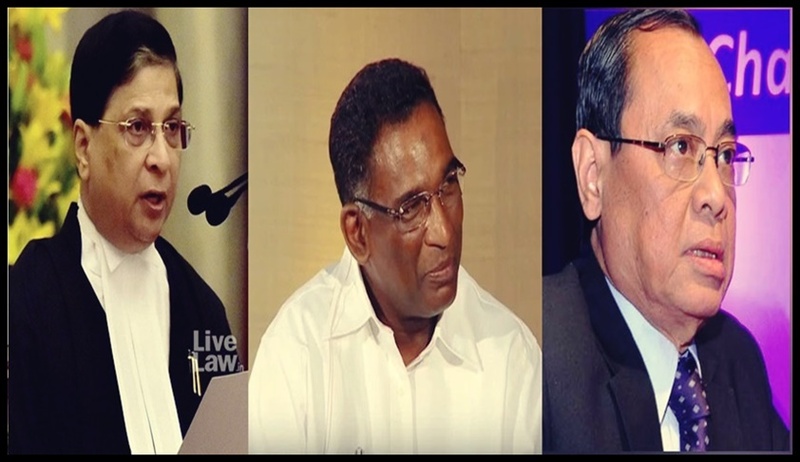 The recommendation for elevating Advocate Dilip Mozumder and Judicial Officer Kamalendu Choudhury was rejected, while that concerning Advocate Manish Choudhury and Judicial Officer Selina Begum was deferred. Further, Advocate Angshuman Bora withdrew his consent for elevation, so his candidature was not considered by the Collegium. In addition, Judicial Officer Mr. Rashid Ali Dar was also recommended for elevation. As per the two resolutions, the Collegium also "interacted" with candidates before recommending their elevation to the two High Courts. It has been following this practice since last month. This is a significant development, considering that the mechanism of appointment of Judges has often been marred with allegations of opaqueness. In fact, the decision to make public collegium resolutions was also taken in order to address such concerns.